Ah, spring has sprung! Well, kinda. It is the first day of March and already things are looking brighter and warmer. 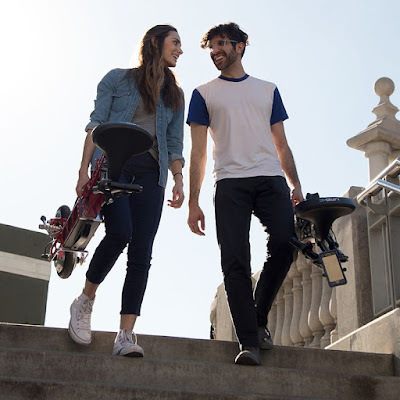 If you're keen to ditch the car during the sunnier months and get to work a different, may we introduce the URB-E Sport, a folding electric sit-on scooter. 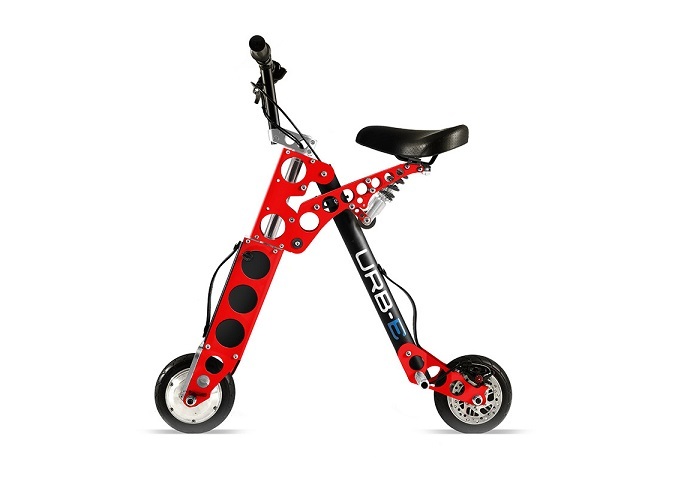 As you can see, the URB-E is a convenient folding bike to either get you all the way to where you need to be (it has a 16 mile range on a single charge) or act as a 'last-mile' vehicle if you're taking the train or driving somewhere. Further more, this thing is essentially a rolling power plant, as the battery can be removed to charge your portable gadgets - including your laptop.